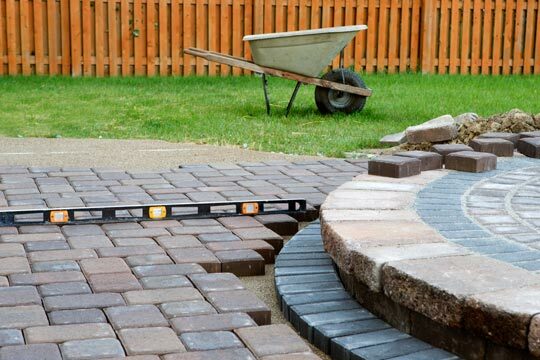 S & M Solutions Ltd provides stylish and modern hard landscaping London services for local property in both commercial businesses and the residential sectors at affordable prices. Quality interior property design and development gives your home beauty and value addition but the exterior is equally important. S & M solutions Ltd bricklayers in London can help you in transforming your outdated and unattended driveway or garden to give your property a complete new look. Are you looking for hard landscaping professionals with experience in garden walls, dividing walls, or a complete house build? We have the right team for you. S & M Solutions Ltd project managers will ensure proper flow of the processes and use of quality materials. We deliver exceptional services from the site survey to completion, to give your property and outstanding outdoor space. Our experienced local bricklayers have successfully undertaken several hard landscaping London projects hence they are ideal to advice you on all aspects of paving and brickworks for new builds and renovation jobs. Hard landscaping London services covers; commercial & residential brickwork, block paving, paths, soakaways, fencing, patios, gravel & shingle driveways and groundworks repairs and replacements. We follow client’s specifications and we guarantee you quality and timely delivery on any job at the best rates.